A solenoid is a wire coil that functions as an electromagnet when charged, converting electrical energy to mechanical. Youre likely to find solenoids in many switching devices and relays (actuators), interlocks, starter motors and valves. What types of solenoids can I buy online? Linear solenoids are made from a wire coil wrapped in a corkscrew around a moveable metal core. They exert a push/pull force on a moveable metal slug, completing a circuit when the linear solenoid coils are activated by an electrical current. 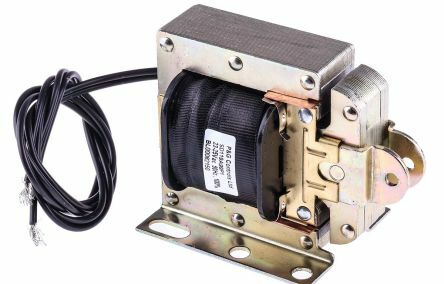 Their smooth motion means linear solenoids are often used in automatic security door mechanisms, as well as in starter motors. Tubular solenoids also create a push-pull force on a metallic core, using much the same principle. 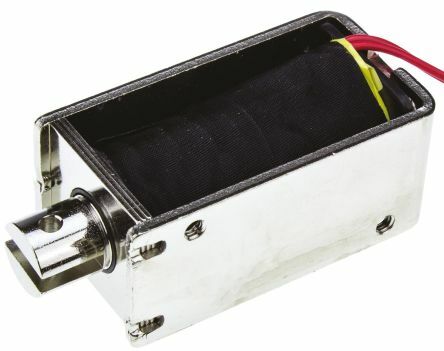 However, the tubular solenoid is encased in a metallic sleeve, helping minimise magnetic flux leakage. This optimises the tubular solenoid's performance, making it ideal for safe installation in a broad range of long stroke appliances, e.g. in current limiting switches, steering controls and hydraulic valves. Rotary solenoids again utilise a wire coil around a metal core, but in this case the core is disc-mounted. A system of cut grooves and ball bearings enable rotary motion when the solenoid is electrically charged. When the current switches off, a spring turns the rotary solenoid disc back to its original position. Rotary solenoids are more robust and durable than linear solenoids, and used in precision industrial machinery such as lasers and shutters. We also stock holding magnets and other solenoid accessories, including replacement solenoid spring kits. Whats the difference between AC laminated solenoids and DC D-frame solenoids? AC laminated solenoids use an in-rush (instantaneous high input) current to deliver a large amount of force with their first stroke. Theyre used in electronic devices requiring immediate action, such as medical equipment, locks, industrial machinery and domestic appliances. 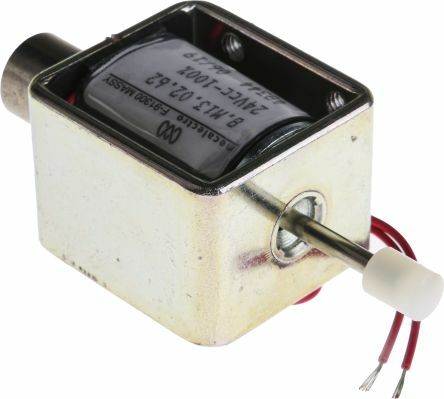 DC D-frame solenoids consist of a two-piece frame, designed to offer either push, pull, or push-pull forces. Theyre found in electromechanical relays, valves, and vehicle gear/transmission systems. 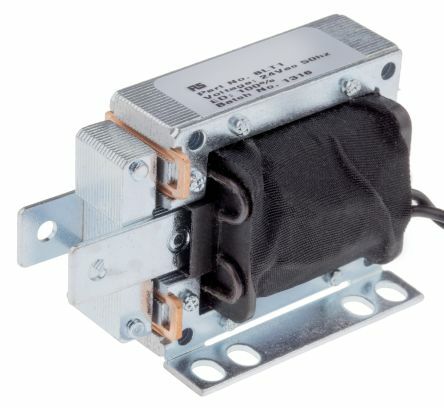 Solentec Laminated AC pull action DC solenoids suitable for industrial applications where a long stroke and large force is required such as locks, interlocks, ratchet movement devices, diverters and shifters. Pull actionHigh efficiencyRobustly constructedCorrosion resistant plated partsFlying leads.